This afternoon, the New York City Council approved changes to local laws governing taxis and for-hire vehicles. Going forward, we will share more information on these new laws and how they will impact TLC licensees. When the laws take effect, new FHV vehicle licenses will only be issued to wheelchair accessible vehicles. If you currently have a FHV vehicle license this change will NOT impact you. Additionally, this change will NOT impact new FHV vehicle applications filed before the laws take effect. Are you a TLC-licensed driver? This change does NOT impact your driver license. This change only impacts applications for new FHV vehicle licenses. Are you applying for a new TLC driver license? This change does NOT impact you. TLC will continue accepting and approving applications for driver licenses. Do you own a TLC-licensed FHV vehicle? This change does NOT impact your vehicle license. You can renew your license and replace your current car with any new vehicle that meets our standard vehicle requirements. Only those applying for a new FHV vehicle license after the laws take effect are impacted by this change. Have you already applied for a new FHV vehicle license? This change does NOT impact your application. 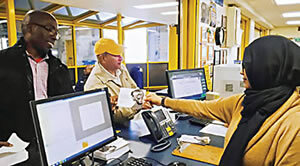 TLC will review your application and will issue you a license if you meet the standard vehicle licensing requirements. 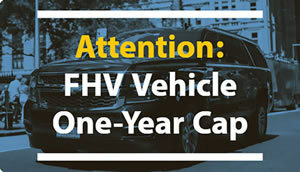 Want to apply for a new FHV vehicle license after the laws take effect? You can apply for and get a new FHV vehicle license if your vehicle is wheelchair accessible. Want to apply for a new FHV vehicle license and use a vehicle that is not wheelchair accessible? You must apply before the laws take effect. To begin the application process, your base must submit a base affirmation before the laws take effect. Base affirmations for vehicles that are not wheelchair accessible will not be accepted after the laws take effect. Do you own a yellow taxi, commuter van or paratransit vehicle? This change does NOT impact your vehicle license. This change only impacts applications for new FHV vehicle licenses.